If you were to ask me “What the best range is”, I wouldn’t be able to answer that question without asking you first, “How you would use the range?” For instance, do you need high output? Do you like to simmer? Do you roast or bake? Would you use steam or a warming drawer? You, as an individual, are different from my last client. Based on your answers, we would look at the right products for YOUR particular style. Unfortunately, there is no one product completely satisfying everyone’s requirements. For this article, we will look at every style and the reasons to purchase a professional range. Previously, you either bought a gas range or an electric range. Dual fuel gained popularity about 15 years ago because gas was perceived to be the ideal cooktop type, and electric, the ideal oven type. Of course this is a generality because gas is better for broiling and roasting. In the past 10 years, induction has gained popularity due to its efficiency and safety replacing electric as the go-to alternative to gas. Today, you can buy a range for anywhere from $500 to $100,000. This article will address the coolest ranges out there and will cover each category. The range categories worth addressing are gas, dual-fuel, induction, and custom. Why buy an all-gas range? All gas ranges give you gas burners and a gas-powered oven. A gas-powered oven has a moist heat and is ideal for roasting. Infrared broilers with intense direct heat are available only in gas. 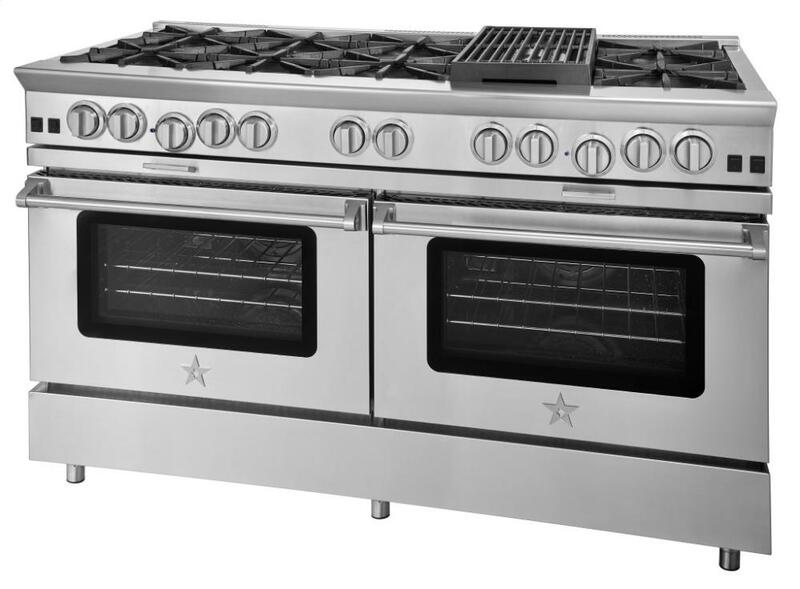 Gas ranges can be found in freestanding, front-control, slide-in, and professional categories. Who makes the best gas range?